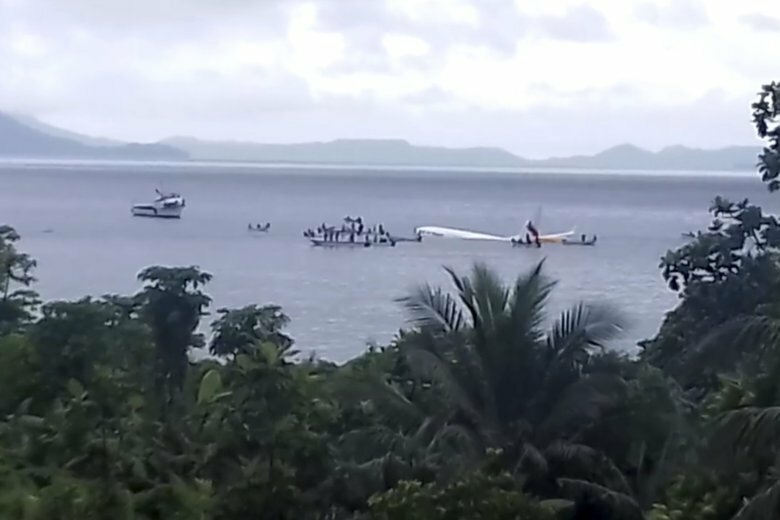 The plane that crash-landed Friday in a remote Pacific lagoon was operated by Air Niugini, an airline that’s hardly a household name but provides crucial links between isolated Melanesian outposts in the Pacific and the rest of the world. So far it appears none of the 47 people on board was killed, although one person was described by officials as in critical condition. The Air Niugini plane ended in the water while trying to land at Chuuk Island, a popular diving spot because of its World War II wrecks, in the Federated States of Micronesia. The Boeing 737 had flown from Pohnpei, another of Micronesia’s islands, and according to the airline landed in “very poor” weather with heavy rain and reduced visibility. Micronesia, like its name suggests, is one of the globe’s micro nations with a population of little more than 100,000. What it lacks in numbers it makes up for in geographic reach. The grouping of 607 islands is spread over a vast 2,700 kilometers just above the equator to the southwest of Hawaii. But their total land area is only four times the size of the U.S. capital. An important base for Japan in World War II, Micronesia became an independent state in 1986 but remains reliant on U.S. aid. It’s the national airline of Papua New Guinea, a nation that makes up the western half of the giant island of New Guinea known for remote jungle-clad mountains and tribes that rarely make contact with the outside world. Air Niugini links its region to well-known destinations such as Bali, Tokyo, Singapore and cities in Australia. It also flies to locations little known outside of the country and to countries in the Pacific such as Solomon Islands and Vanuatu. Data from the Aviation Safety Network shows 111 people have died in crashes of PNG-registered airlines in the past two decades but none involved Air Niugini, which has been in operation since 1973. The country and the airline’s profiles are likely to rise because Papua New Guinea is hosting world leaders in November for an annual meeting of the Asia Pacific Economic Cooperation forum.